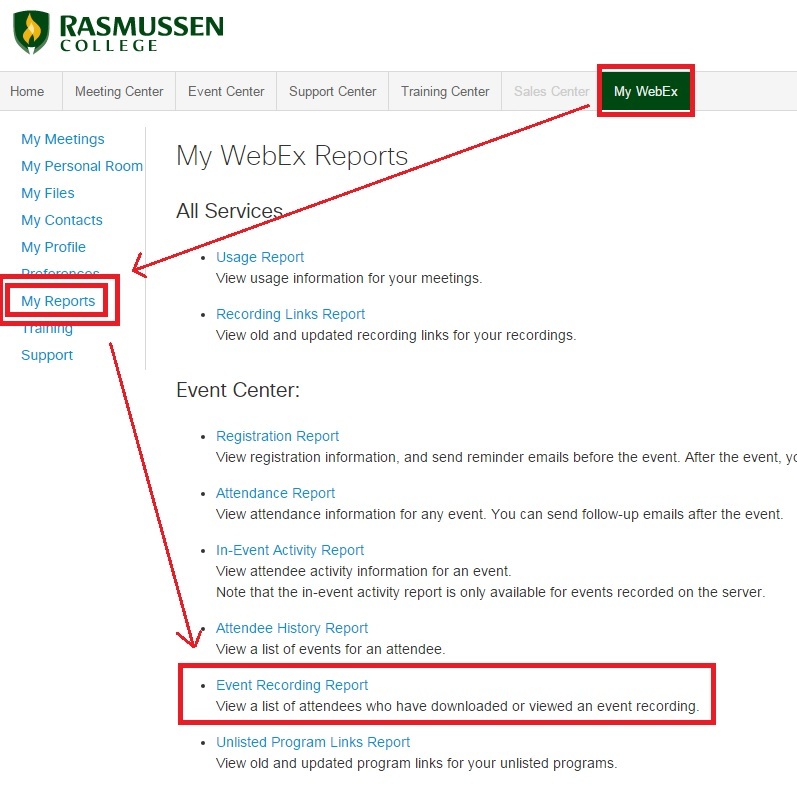 Q. WebEx: Is the viewing of recordings trackable? Can I track views of recorded WebEx sessions? I want to know if students are viewing the meeting recordings of sessions that I held. Yes, in the Training Center and Event Center, you can view the number of times a recording has been viewed. However, you cannot do this in Meeting Center. Click on the My WebEx tab located on the top navigation bar. Click on My Reports located on the left navigation bar. Enter the range of dates and/or the Recording Name.